The collaborations with national parks in Belarus and Mozambique reveal amazing similarities despite all their differences. In addition to its long-standing and intensive contacts to the landscape conservation parks on the Polish side of the Oder valley, the Lower Oder Valley National Park has partnerships with the Belarus Beloveshkaya Pushcha National Park (Bialowiezer Heide) and the Banhine National Park in Mozambique, founded in 1972. The Beloveshkaya Pushcha stretches into the borderland between Poland and Belarus, where the Belarusian part with about 120,000 hectares is much larger in comparison to its Polish neighbours with and area of approx. 10,500 hectares. The Beloveshkaya Pushcha is considered the last lowland virgin forest in Europe. The core zone of this national park covers an area of more than 150 square kilometres. In comparison, the core zone of the Lower Oder Valley National Park is small, with an area of 50 square kilometres. Nevertheless, the conservationists and National Park staff have identified a number of things in common with their mutual excursions. 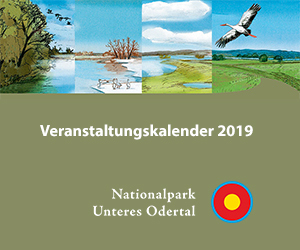 In both areas there are rare alder-ash forests and especially protected bird species such as the aquatic warbler living in the sedge reeds, of which the last evidence of them in Germany is in the Oder valley – unfortunately there are only sporadic sightings. Also the bittern lives in the reed beds in both the Lower Oder Valley National Park as well as in the Beloveshkaya Pushcha. Additionally, the national parks are experiencing a comparable political-administrative situation as cross-border conservation areas: Up until 2004, the Lower Oder Valley National Park collaborated with Polish partners outside the EU. A similar situation exists now between the Polish and Belorussian sides of the Beloveshkaya Pushcha. Here the partners can learn from similar experiences. Much larger that the Lower Oder Valley is the Mozambican Banhine National Park, with which there has been an intensive partnership since 2014. The protected area in the Mozambican province of Gaza, with an area of 7,000 square kilometres, is about seventy times the size of the Lower Oder Valley National Park. In addition to savannahs, there are extensive Mopani forests along the edges of the park as well as a savannah landscape, which in the rainy season is largely submerged and provides a habitat for numerous animal and plant species. Among them are large herds of ostriches, impalas, porcupines, warthogs and kudus. But even large mammals like elephants are still found in small numbers in the Banhine National Park. In the water there are 18 species of fish, including the African lungfish. This fish has developed a special strategy for surviving a dry season. Before the season begins, the African lungfish buries itself: Using its body, the lungfish digs a vertical tunnel into the deep mud layers of the wetlands. When the water level falls, it secretes large quantities of mucus into its little cave, which dries into a thin cocoon that protects the fish from drying out. It can survive this way for several months. During this time, it feeds on the muscular parts of its tail where a lot of protein is stored. In the rainy season, the Banhine National Park with its flooded areas resembles the Lower Oder Valley National Park. Another common feature: Migratory birds from the lower Oder valley such as barn swallows or white storks spend winter in the Banhine National Park. Mozambique is one of the poorest countries on Earth. The Banhine National Park is relatively unknown in Europe compared to many other African national parks. Touristic use has not yet happened. The people living in the National Park area are very poor, and their way of life is archaic. Since the rainy season has largely disappeared in recent years, the area is currently suffering from a terrible drought. There are food shortages and the population are dependent on food supplies being delivered. The Lower Oder Valley National Park launched a comprehensive relief project for the Banhine National Park and initiated a volunteer tourism project for the region in the Mozambican province of Gaza. In 2015, pupils from the Freien Schule Angermünde donated school benches and tables for children living in the National Park. German students have written scientific papers on the Park. In April 2016, the first volunteer team drove into the Banhine National Park, distributed food there, provided medical assistance and supported the rangers in tackling poaching, which poses a major problem for the Park. A second team travelled to Mozambique in November 2016 and brought more food donations to the Banhine National Park. Last but not least, these food donations should help to curb poaching. For, in addition to the poachers who come from outside the protected area to shoot animals for further sale, the inhabitants of the National Park themselves are poaching especially to secure their supply of food. In the future, German helpers will make two trips annually to the protected area. They will stay at the only camp in the Banhine National Park, which is located right next to the National Park Administration in the middle of the protected area. The journey from Maputo takes about one day. One third of the route goes through difficult terrain and is only manageable with off-road vehicles. Among other things, the aim of the support is to build up a tourist infrastructure in the Banhine National Park in order to secure an income for the protected area that will benefit both the Park and the local population. And with that, it should, on one hand, increase the acceptance of the National Park among the inhabitants of the villages in the region. And on the other hand, measures for nature conservation can be refinanced from tourism revenue. The Banhine National Park is not far from the much more famous Limpopo National Park that borders the South African Krüger National Park, which is one of the largest and most visited national parks in Africa with an area of 20,000 square kilometres. It has 13 large camps across an excellently built tourist infrastructure and is a role model for an economically prosperous national park.